Honeybees, famous largely for their declining numbers in recent years, now have something else to be remembered for—they may be by far the best protection for the marula, a southern African tree that is responsible for the bestselling liquor Amarula, due to the marula tree’s berries. While no one can say which country loves it most, many from Germany and Canada have dubbed the liquor “the taste of Africa.” The drink’s country of origin, South Africa, only consumes roughly 30 percent of what’s produced. However, human beings aren’t the only ones who appreciate marula berries—elephants love them too, with their eagerness making them a threat to the trees. Fortunately, African honeybees may provide a possible solution. In years past, tales have existed of elephants, made tipsy by the fermented berries of marula trees, charging about unsteadily in the bush causing chaos, but scientists have since debunked this myth. 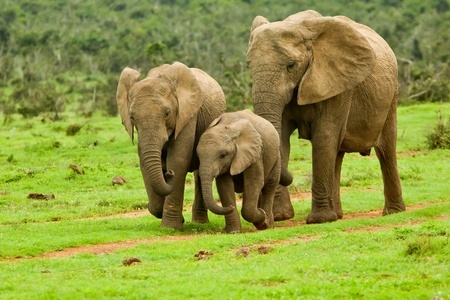 However, these giant mammals are still hazards for the trees, leaving conservationists worried about the African elephant’s impact on marulas and other trees. In places with high-elephant populations, marulas have been toppled, bark-stripped, or have had critical stems snapped, per the Journal of Biological Conservation. For example, parts of Kruger National Park in South Africa have had a fourth of their marulas destroyed or damaged. Past research has indicated that honeybee hive fences can discourage elephants from foraging through crops. Regarding Kenya, elephants and farmers have remained in conflict over crops, with electric fences not being practically or economically feasible, which is why scientists suggested honeybees. For a study, researchers constructed a 970-sq-ft fence that had nine interconnected hives, and they found that elephants were far less likely to raid honeybee-guarded farms. African honeybees, unlike European honeybees, are especially aggressive, which elephants seem to be very aware of. Now, researchers wanted to see if honeybees could also protect marulas. The research, as a collaborative effort between British, Kenyan, and South African scientists, found 150 marulas within the Jejane Private Nature Reserve, which is part of Kruger National Park. On 50 marulas, occupied hives and empty dummy hives were hung on different sides of the trees. Fifty other trees were only wrapped in wire—a more common method for protecting trees from elephants. The last 50 trees acted as the control to show what would occur without human intervention. Competitive Eater Downed Pounds of Honey – In Four MinutesManuka Honey Orange Blossom Cake!